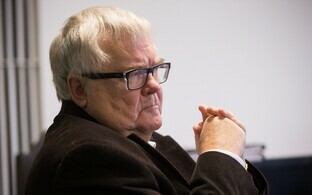 Former longtime Center Party chairman Edgar Savisaar, who won a seat on Tallinn City Council by personal mandate in the Oct. 15 local elections, was absent from a council meeting for the second time in a row this month on Thursday. Altogether 72 councilmembers registered themselves present at the beginning of Thursday's Tallinn City Council meeting; seven members were absent, including Savisaar. 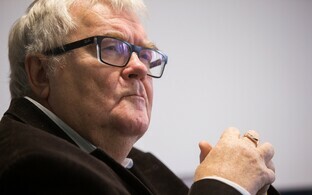 Savisaar, who was suspended from his position as mayor of Tallinn in September 2015 by court order in connection to a corruption case, was present at the council's first meeting on Nov. 2, but was absent from the second council meeting already a week later. 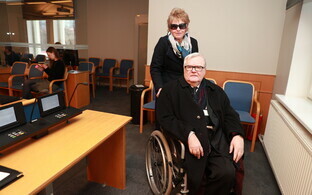 In last month's local government council elections, Savisaar earned 3,611 votes running as part of the Savisaar Election Coalition and Active Tallinn, earning him a personal mandate. No other candidate from his election coalition earned a seat on the council, as the coalition was supported by 4.5 percent of voters, falling just below the five-percent election threshold. In addition to Savisaar, councilmembers who did not register themselves as present on Thursday, according to the minutes of the meeting, also included Raivo Aeg and Priidu Pärna (IRL group), Vladimir Afanasjev (Center group), Jürgen Ligi and Taavi Rõivas (Reform grup), and Anastassia Kovalenko (SDE group). On the city council's agenda on Thursday was the confirming of the compositions of the council's standing committees.